Bee-Keepers are FALSELY BLAMING BEE DEATHS on Neonicotinoid Insecticides. 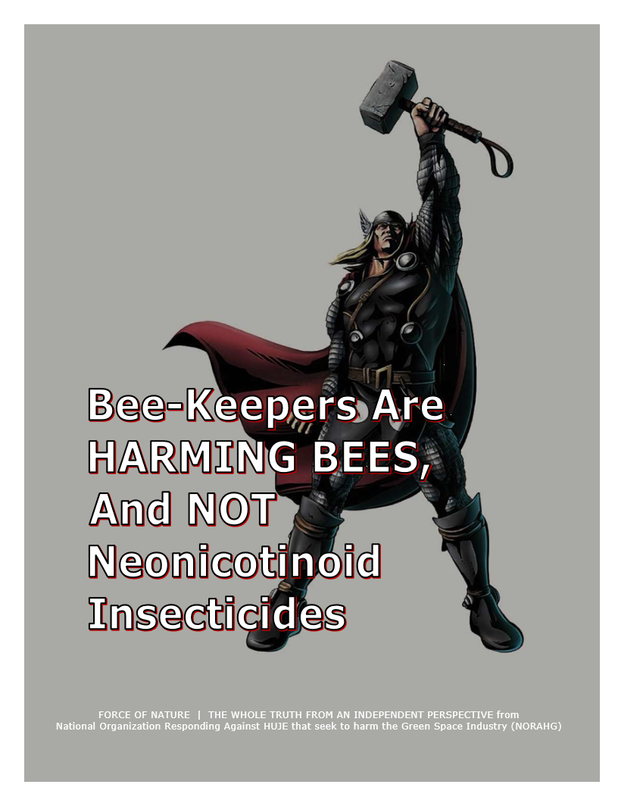 Sadly, Bee-Keepers are THE LEAST CREDIBLE AND THE LEAST QUALIFIED TO PROVIDE ANY ADVICE concerning Neonicotinoid Insecticides. There are A GROWING NUMBER OF REPORTS that Bee-Keepers ALL OVER NORTH AMERICA are VIOLATING FEDERAL LAW by using ILLEGAL, UNREGISTERED, DEADLY, and CANCER-CAUSING pest control products. Recently, in Alberta, Bee-Keepers WERE FINED FOR USING THESE UNREGISTERED PEST CONTROL PRODUCTS TO COMBAT MITE INFESTATIONS, resulting HEFTY FINES from Health Canada. Bee-Keepers VIOLATE FEDERAL LAW by using products like AMITRAZ, which is KNOWN TO CAUSE CANCER, and is KNOWN TO KILL PEOPLE. In 2006, the United States Environmental Protection Agency ( USEPA ) classified AMITRAZ as a group C, A POSSIBLE HUMAN CARCINOGEN. Furthermore, exposure of men to greater amounts of AMITRAZ can LEAD TO DEATH DUE TO RESPIRATORY FAILURE, mainly after oral uptake or inhalation. In Turkey during 1989, 41 cases of DEADLY AMITRAZ INTOXICATIONS were detected. Other frequently occurring symptoms AFTER MASSIVE AMITRAZ INTOXICATION are BRADYCARDIA, DEPRESSION, HYPERGLYCEMIA, HYPOTHERMIA, LOSS OF CONSCIOUSNESS, MIOSIS, RESPIRATORY DEPRESSION, and VOMITING. 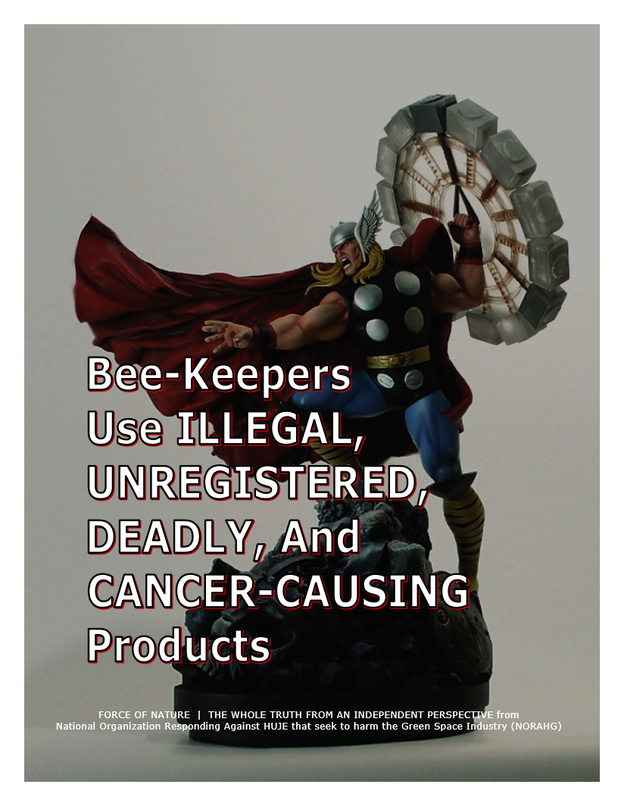 In other words, Bee-Keepers are ILLEGALLY USING products that are known to CAUSE CANCER, and are known to KILL PEOPLE. It has been concluded that Bee-Keepers are producing potentially DANGEROUS HONEY. And yet, these same Bee-Keepers complain about Neonicotinoid Insecticides, which, in fact, DO NOT CAUSE CANCER, are SCIENTIFICALLY-SAFE, and CAUSE NO HARM. If Bee-Keepers are LYING AND CHEATING BY USING ILLEGAL PRODUCTS, then, are they also LYING AND CHEATING with their public statements about bee deaths and Neonicotinoid Insecticides ?!?! There are reports that Bee-Keepers ALL OVER NORTH AMERICA are LYING AND CHEATING by using ILLEGAL AND UNREGISTERED pest control products. 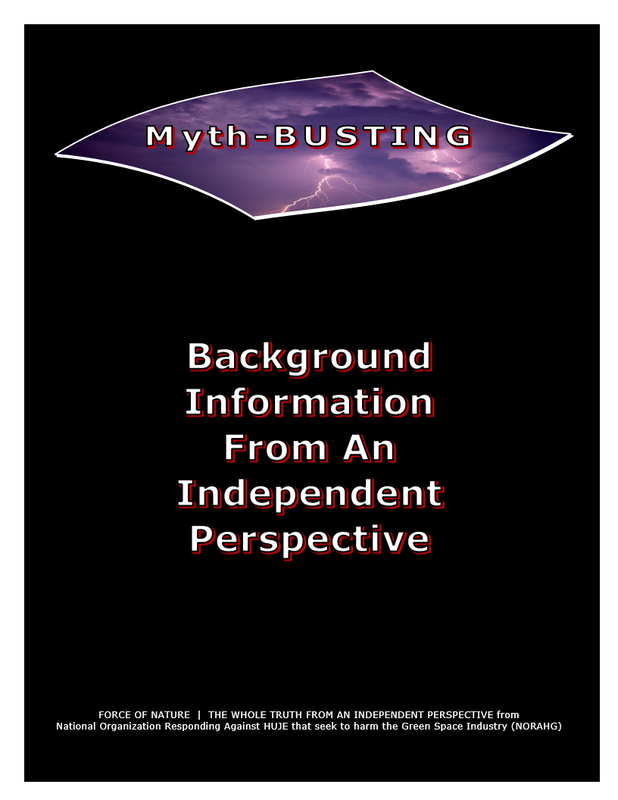 If Bee-Keepers are LYING AND CHEATING BY USING ILLEGAL PRODUCTS, then they are also LYING AND CHEATING with their public statements about bee deaths and Neonicotinoid Insecticides ?!?! They are all ILLEGAL BASTERDS ― how can they be trusted about ALLEGATIONS of bee deaths and Neonicotinoid Insecticides?!?! In Alberta, Bee-Keepers WERE FINED FOR USING UNREGISTERED PEST CONTROL PRODUCTS TO COMBAT MITE INFESTATIONS. Attempts by these two Bee-Keepers to stop VARROA MITES from invading their bee-hives resulted in a HEFTY FINE from Health Canada. Russell Severson of Camrose and Miedema Honey Farm Inc. of Barrhead, were fined after they USED UNREGISTERED AND ILLEGAL PEST CONTROL PRODUCTS in their bee-hives. Miedema has ATTEMPTED TO JUSTIFY HIS ILLEGAL ACTS under the PRETEXT that he just wants to find a way to produce his honey effectively. We can’t live without bees, bees are very important, so we are TRYING TO DO THE BEST WE CAN DO. In other words, Bee-Keepers HAVE NO IDEA WHAT THEY ARE DOING, and are WILLING TO VIOLATE FEDERAL LAW USING FEEBLE PRETEXTS. The ILLEGAL active ingredient used in both cases was AMITRAZ. The owner of Miedema Honey Farm Inc., Folkert Miedema, said he used the product TACTIK, which is SOLD IN AUSTRALIA as a way to combat the mites. Miedema said after using TACTIK this season, the product was much more effective than what was approved for use in Canada. Health Canada’s Pesticide Compliance Program issued Miedema TWO VIOLATIONS ― one, a 4,000-DOLLAR FINE FOR THE USE OF AN UNREGISTERED PRODUCT, and the other, for importing a product that contained thymol. SIX NOTICES OF VIOLATION were handed out to Severson for a TOTAL FINE OF 31,200 DOLLARS FOR USING AN UNREGISTERED PRODUCT. It [ TACTIK ] is used [ ILLEGALLY ] ALL OVER THE UNITED STATES, and Bee-Keepers in CANADA use it too. AMITRAZ was one of the first Varroa-cides to be registered in the U.S., and is effective against both the VARROA AND TRACHEAL MITES. It was formulated in a plastic strip as Miticur, but the registration for use in bee hives was withdrawn after some LAWSUITS. However, Bee-Keepers world-wide COMMONLY USE THE AG PRODUCTS TACTIK® AND OVASYN® OFF LABEL. 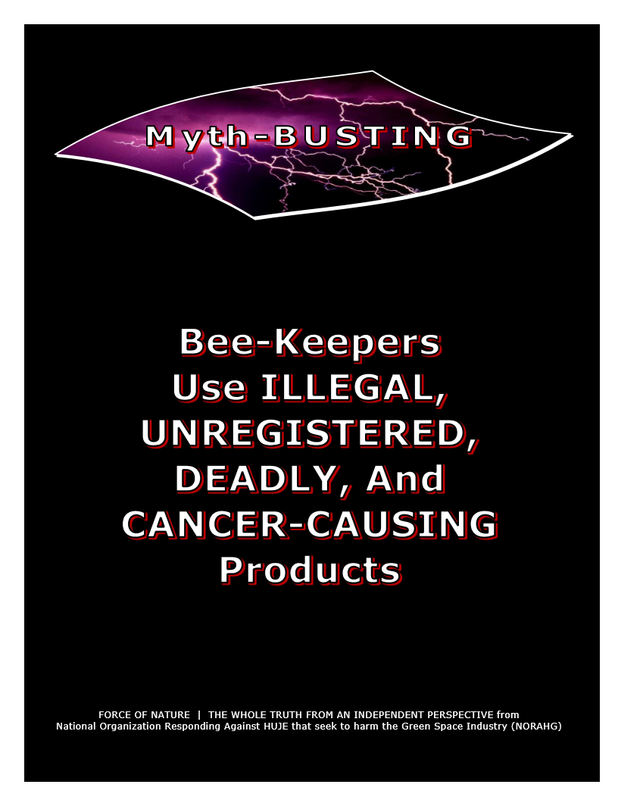 In other words, Bee-Keepers ALL OVER NORTH AMERICA are LYING AND CHEATING by using ILLEGAL, UNREGISTERED, DEADLY, and CANCER-CAUSING pest control products like Tactik. Miedema said it was Bee-Keepers in the U.S. who recommended the use ILLEGAL AND UNREGISTERED pest control products. Nonetheless, the product is ILLEGAL, and has NOT BEEN APPROVED for use in either Canada or America. Tactik is also DEADLY and CAUSES CANCER. Furthermore, exposure of men to greater amounts of AMITRAZ can LEAD TO DEATH DUE TO RESPIRATORY FAILURE, mainly after oral uptake or inhalation. Other frequently occurring symptoms after MASSIVE AMITRAZ INTOXICATION are BRADYCARDIA, CNS DEPRESSION, HYPERGLYCEMIA, HYPOTHERMIA, LOSS OF CONSCIOUSNESS, MIOSIS, RESPIRATORY DEPRESSION, and VOMITING. Bee-Keepers are producing potentially DANGEROUS HONEY. Bee-Keepers nation-wide feel the sting of VARROA MITE infestation every year. Since the mid-1990s when VARROA MITES made their way to Canada, Bee-Keepers have tried to combat them. Products were developed to control VARROA MITES, but, within a few seasons, because of MIS-MANAGEMENT by Bee-Keepers, the VARROA MITES DEVELOPED RESISTANCE. The Bee-Keeper Industry has gone through three products that control VARROA MITES, the latest being AMITRAZ, which is ILLEGAL, UNREGISTERED, DEADLY, and CANCER-CAUSING. Grant Hicks, President of the Alberta Bee-Keepers Commission, said VARROA MITE infestations ARE THE CAUSE OF ROUGHLY HALF OF BEE DEATHS EVERY WINTER. If you get a [ VARROA ] MITE on even one per cent of your bees, within two years you would LOSE THE ENTIRE HIVE. Hicks NEVER MENTIONED ANYTHING about Neonicotinoid Insecticides. 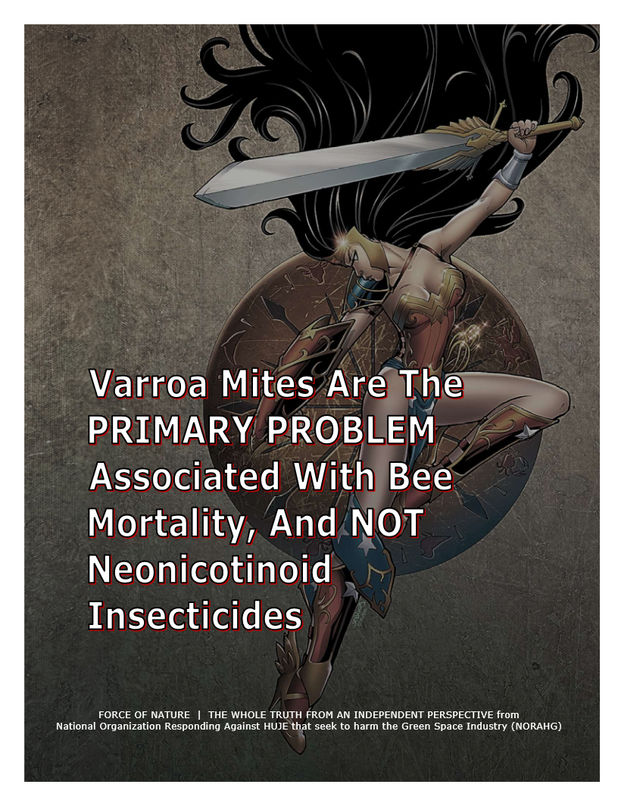 In other words, the PRIMARY PROBLEM is VARROA MITES, and NOT Neonicotinoid Insecticides. The Province of Alberta houses 43 per cent of Canada’s bees, and is the fifth-largest honey producer in the world. 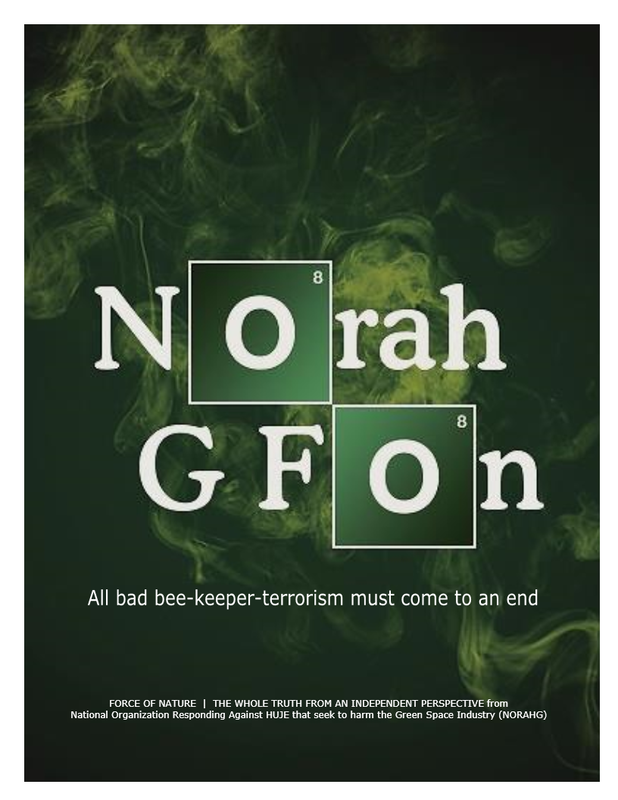 With 850 Bee-Keepers taking care of 282,000 hives, issues of non-compliance with federal law have to be taken seriously. Some of these guys USE WORD OF MOUTH AND DON’T KNOW HOW MUCH OF THE PRODUCT TO APPLY AND HOW TO HANDLE PESTICIDES. The danger is in three things ― risk for the applicators themselves, risk for the honey, and risk for the bees. In other words, Bee-Keepers KNOW ALMOST NOTHING ABOUT PEST CONTROL PRODUCTS.